He followed the rules of the Chinese divinatory practice of the I Ching, or Book of changes, which uses random operations to generate any one of sixty-four hexagrams, each describing a different state of mind or being (“force,” “radiance,” and so on). The piano cycle Music of Changes, composed in 1951, depended on the I Ching throughout; successive rolls of the dice determined what sound would be heard, how long it should last, how loud it should be, what tempo should be observed, and how many simultaneous layers of activity should accumulate. Alex Ross in The rest is noise, discussing a piece of John Cage. When I asked Alex Ross if I could excerpt the epilogue (below) of his eloquent and persuasive The Rest is Noise: Listening to the 20th Century, he surprised me by saying it was the section he reworked the most. The conclusion follows so perfectly from the history and arguments that precede it, I imagined him sitting down and dashing the finale off in an afternoon. But of course, this is what good writers do: they go over their arguments until the effort doesn’t show. If you are only going to buy (and read) ten books on music, ever, this should be one of them. So the question is: What is the adaptive value of grandmotherhood? Which is another way of asking why there is such a gap between the age of menopause and the age of senescence in women. Menopause is the permanent cessation of ovulation, and it affects most women sometime in the fifth decade of life. Senescence is the decline of bodily vigor that precedes death, which generally occurs decades later. Grandpas are easy to explain; they can potentially propagate their genes until they fall out of their rocking chairs. It’s those fit-as-a-fiddle but infertile grandmas who are the evolutionary riddle. According to the Utah researchers, human females live for a long time beyond menopause to ensure that their grandchildren eat and their daughters have more babies. Grandmothers are favored by evolution because they help ensure success for the family gene pool. The useful grandmother hypothesis has recently found more support by researchers working with Gambians and populations of Canadians and Finns. This idea that natural selection might favor a group rather than individuals is controversial in biology. So too is the idea that human evolution should be dramatically different from that of our close mammalian and primate relations. 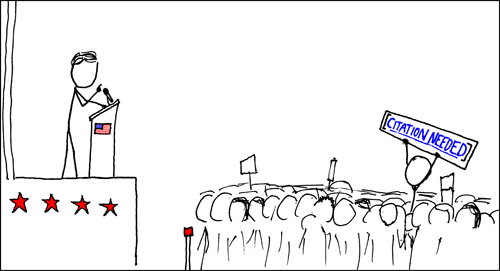 BoingBoing informs us of the attack of the ninjas on Stallman in an attempt to reenact an xkcd comic; I was wondering if there were also wikipedian protestors in the crowd. We featured some studies previously on Mind Hacks that suggested that first born children have marginally higher IQ scores, although a similar study in Thai medical students found the reverse effect, younger siblings tended to be more intelligent. This highlights the role of culture in these effects, and the Time article illustrates a similar point with regards to girls. Perhaps fifty years ago when girls were less expected to go to college and have careers, the birth order effect may have been much less clear because of the cultural limitations on female work and education. Now the cultural expectations have changed, the effect of birth order on psychological development may also be different. Perhaps the most spectacular early prediction of quantum mechanics was tunneling: that particles can do things that are forbidden in Newton’s mechanics, although with a small probability. It was an amazing week for reading (the best since I’ve started doing MR) mostly because it was an amazing week for flying.